A Nurse, Hadiza Ndayebo have given birth to quadruplets at the Jumai Babangida Aliyu Maternal and Neonatal Hospital in Minna after 17 years of infertility. However, one of the quadruplets died immediately after delivery. Hadiza said that she had to get pregnant through artificial insemination after waiting for many years without getting pregnant. “I went through artificial insemination because I have been battling with infertility for over 17 years. By December 28, it will be my 17th year in marriage. 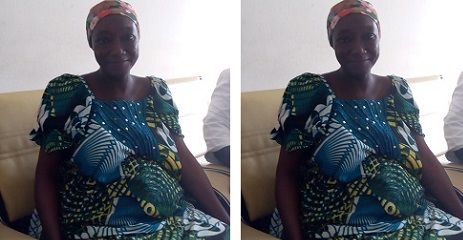 She is the second wife to her husband said that the none of her family took it serious when she told them she was carrying quadruplets adding that although one died, she is grateful that she has been compensated for waiting this long. Her husband, Alfa Mamood expressed joy over the birth of the babies saying that 17 years of endurance, patience and prayers have paid off. He prayed that God provide them with the means to provide and take care of them. The Staff Affairs Officer of the Babangida Aliyu Maternal and Neonatal Hospital, Nurse Comfort Tsado said that the birth of the quadruplets is the first of its kind in the hospital even though one died.